Visiting the dentist allows you to leave the dental office with clean teeth and a new toothbrush. 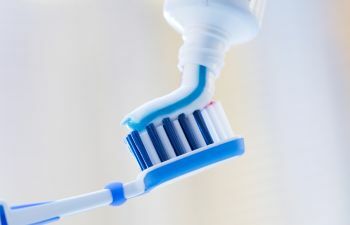 If you have ever wondered why you receive a new toothbrush at each visit, or you have ever mistakenly thought that it was silly, it is important to know why having a new toothbrush is so important. Your dentist understands that in order to properly clean your teeth, you need a clean tool to do it! Think of everything you have put into your mouth just today. Now, try to think of all that you have put into your mouth in the last month. And now, multiply that times six. Six months between dental visits is generally the amount of time that people use a toothbrush. If you are not using proper toothbrush care during that time period, your toothbrush is probably pretty dirty – and it is not doing what it should to clean your teeth. Millions of bacteria call your mouth their home on any given day. A toothbrush is a tool that helps brush away bacteria-laden plaque and food particles from the teeth. During use, many of those bacteria will become trapped in the bristles of your toothbrush. Taking the time to properly rinse off your toothbrush is very important so that you can rinse away as many of the bacteria as possible. Holding it under running water for at least 15 seconds will help wash away bacteria so that you are not putting them back into your mouth. It is also important that you shake excess water off your toothbrush and store it upright after rinsing. Bacteria thrive in moist environments, but by storing your toothbrush in an upright position it will eliminate moisture quickly. Speaking of bacteria, germs also linger on your toothbrush. It is important to remember to replace your toothbrush following any illness such as a cold, the flu, strep throat, or a virus. Germs can linger for up to 10 days on any surface, and you certainly do not want to re-infect yourself once you are feeling better. At Gold Hill Dentistry, we want to encourage you to keep track of how long you use your toothbrush. Studies show that after three months, regularly used toothbrushes become less effective at cleaning the teeth because the bristles are worn down. The teeth are constructed of many angles, grooves, pits, and tight spaces that are tricky to reach. Using a new, clean toothbrush will help keep your teeth clean, your breath fresh, and your mouth healthy.